You make some pretty strong charges in your book, "California: State of Collusion." Isn’t it a bit extreme to claim California law enforcement and courts are peopled with psychopaths? It sounds troubling and extreme but I see it every week as a criminal defense lawyer practicing criminal law in California: psychopaths in law enforcement – and they’re not the outliers! Countless studies show psychopaths are attracted to positions of power and who’s more powerful than a policeman with a badge and gun or a prosecutor with unlimited discretion and little accountability. It’s not surprising but it is outrageous that these dangerously flawed people make it past what should be a much tighter screening system with ongoing accountability. How prevalent is police misconduct in California? Law enforcement misconduct is pervasive in California’s system. Profiling is a reality, probable cause for a stop or arrest is often lacking and often driven by a citizen’s ethnicity. Excessive force during an arrest, charges filed by an officer lacking completely in substance, followed by untruthful police lying to protect their case. That’s the world criminal lawyers see daily in California courts. Aren’t there safeguards in our system to assure an innocent person can’t be convicted of a crime? What is frightening to me and should be outrageous in a civilized society are the sheer number of people who have been proven factually innocent years after being convicted. The police, district attorneys, judges, and appellate courts have allegedly reviewed cases yet after years in prison, DNA technology proves defendant after defendant innocent. Absent organizations like the Innocence Project and others fighting a broken and corrupt California justice system, these people would never have been cleared. Isn’t most of the misconduct you discuss quite subtle? These aren’t subtleties. If you want to see your “criminal justice” system’s results, visit any prison and you will see the overwhelming majority of the prison population has brown skin. That’s not a statistical quirk, its racism and an outrage. If the skin colors were reversed, there would be a revolution. Are these problems unique to California? How can someone wrongly charged with a crime fight back? Fighting back is impossible for people without resources. The system is designed for people charged with crimes to quickly enter a guilty plea, often recommended by a public defender without the resources to seek out the truth. It’s quite illuminating to see how a defendant who can afford an experienced private lawyer with investigators, experts, and a legal team passionate to make the State actually prove its case is very often found innocent. Lying police and sloppy prosecutors aren’t accustomed to being held to account. I make my living doing this and my ninety plus percent win percentage exposes the criminal justice system’s failure as much as anything else. Judges are above all of this, right? They must go ballistic when a police officer lies in their courtroom. One would hope judges would be above the corruption and collusion we see among prosecutors and police, but too many are not. Surely there are fine and honest judges out there but there are way too many who play along. I’ve practiced criminal law throughout California for 20 years and not once have I seen a judge reprimand a police officer for lying in court – even when I provide incontrovertible evidence the officer lied about one or more critical facts in the case. I believe the reason is that judges face re-election and they can’t win without the support of police unions and prosecutors so at best they tiptoe around flagrant police misconduct and too often ignore law enforcement actions that would outrage any citizen. Appellate judges? For 30 years they have been Hell bent on destroying the Constitutional rights of an accused. What types of misconduct do you see by District Attorneys? Aren’t they responsible for making sure weak or unsupported cases are weeded out and dismissed? While there are some scrupulously honest California District Attorneys and Assistant DAs, most “over charge” (where they charge a crime carrying a massive jail sentence, without sufficient evidence for the charge, to use as leverage in threatening their way to a plea bargain), they hide evidence they know would help a defendant prove his innocence, and they go for the easy wins to bolster their win record which determines their career success. The new body cams must be alleviating many of these problems and making police accountable for their conduct. True? You would think things would be hard to hide with body cams and cameras in police cars but I see every week at our Tully-Weiss defense firm “broken” cameras, temporary “malfunctions”, “missing” video footage, and the like – yet another outrage and reason for my book, “California: State of Collusion”. I had the only Occupy felony defendant and it amazed me that not one police officer’s body cam was working even though they were required to use them. Isn’t a bad cop easily exposed? There’s a rule in California and in most jurisdictions that when an officer will be testifying against an accused, the defendant’s attorney is entitled to receive information from that officer’s personnel file which might help prove his innocence or at least shed light on an officer’s credibility. In fact the prosecutor is required to provide this information. It doesn’t happen. A police officer can be facing criminal charges for stabbing his wife just a week before and more charges for defrauding a bank, but we’ll never hear about it. A criminal defendant without the resources for a strong attorney and effective investigators is at an extreme disadvantage: Constitutional rights and presumption of innocence are out the window. They’re going to jail. That is your, the People’s, criminal justice system. Pray neither you nor someone you care about gets caught up in California justice. The deck is stacked against you. Joseph Tully founded and leads one of California’s most successful criminal law firms, Tully & Weiss, based in Contra Costa County, CA. 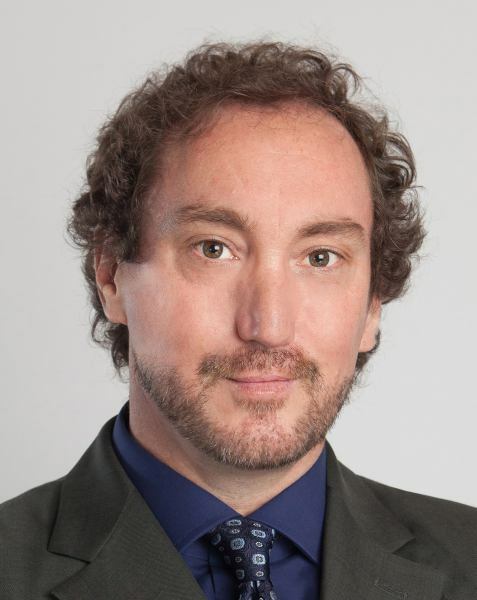 Practicing in courts throughout the state, Joseph has an unprecedented record of wins in high profile marijuana cases, won CA’s landmark stand your ground murder defense case, and has become a go-to legal expert for people wrongly accused of weapons, violence, and other felony crimes. 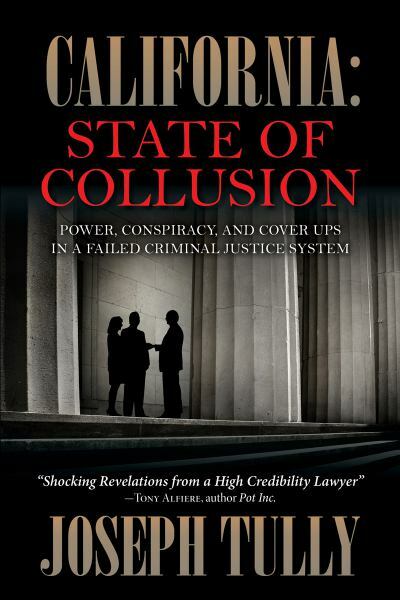 Tully is the author of California: State of Collusion (Sutton Hart).